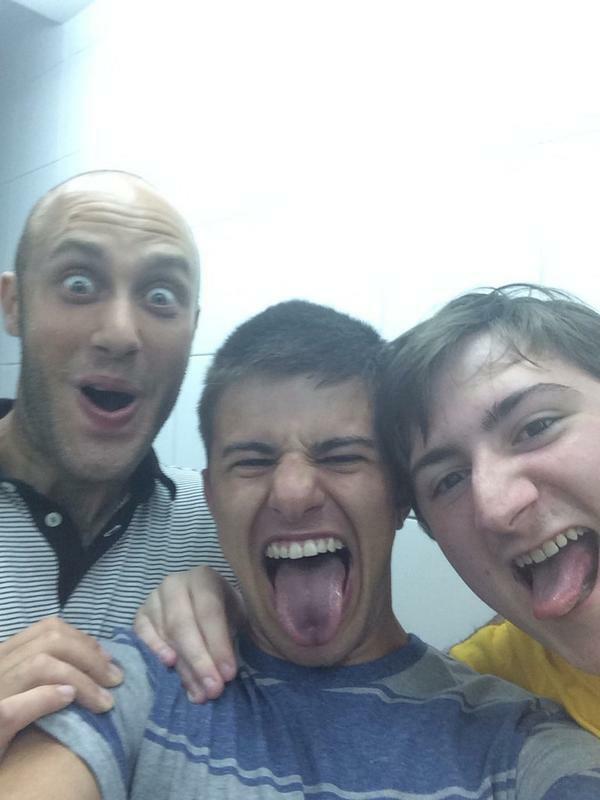 Israelis Are Taking "Bomb Shelter Selfies"
"There’s a selfie for everything so why not?'" For the last fortnight, residents living in Tel Aviv have been documenting their experiences of taking cover in bomb shelters by taking “bomb shelter selfies". They have been documenting their experiences on the Bomb Shelter Selfie Facebook group and with the hashtag #BombShelterSelfie. The trend began when Israelis vowed to “keep on smiling” even while air-raid sirens warn them of Hamas airstrikes. Most of the photos show Israeli citizens smiling and laughing as they pose for photos with friends and family. Some captions to the photos include: "Lovin this ceasefire”, "Praying for a quiet night so my kiddies get a good night's rest”, and, "Thanks Hamas for making babysitting such an adventure!" 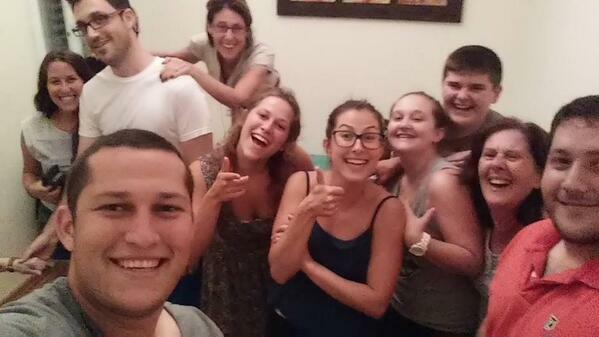 Israelis take #BombShelterSelfies, "Keep on smiling." Israel bombs Palestinians, "Barely surviving." 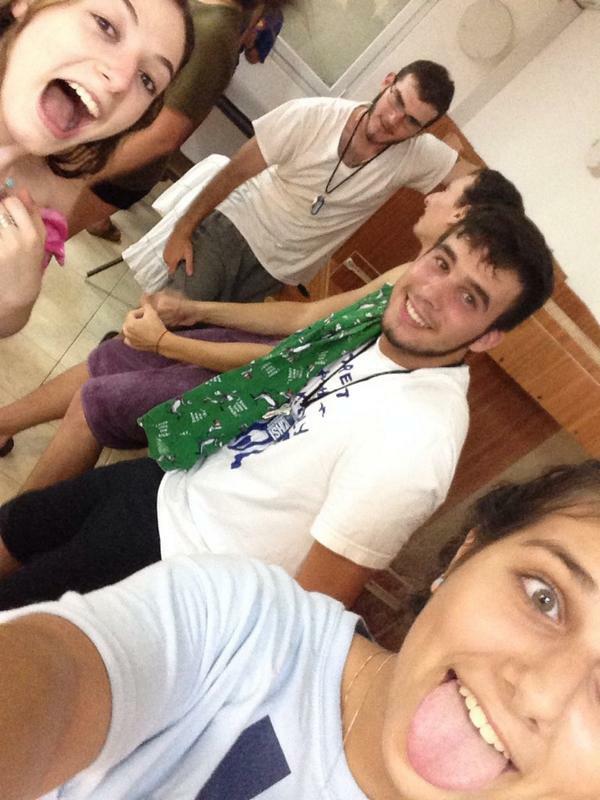 The creator of the Facebook group is Sara Eisen, a resident of Beit Shemesh. She told Haaretz: "There’s a selfie for everything so why not bomb shelters?" Eisen explained that the group was a way of "showing the world that we weren’t letting this get to us". She recalls that she originally wanted to call it Bomb Shelter Bombshells but her husband told her it was over the top. One member of the group stressed that the photos was their way of "expressing survival", and that despite their smiles, "there is heaviness in our hearts".